MTM2.com • View topic - Project Monster & Softbody Physics. Project Monster & Softbody Physics. Post subject: Project Monster & Softbody Physics. I decided to put the softbody physics engine into my MTM track render... Project Monster. 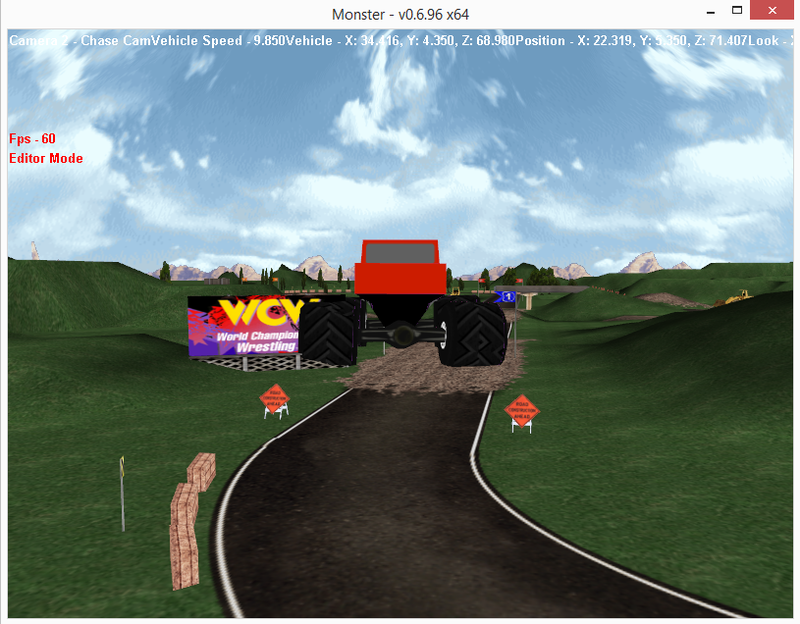 As you can all see it is far from a beta even, but the gist is there, the truck scale is way off but the scale MTM uses compared to the way I wrote the physics are way off so I have to tweak several things, no collisions on models/boxes yet. But just driving around is pretty fun (When scaled right but kinda jumpy). Here is a screen shot. Post subject: Re: Project Monster & Softbody Physics. This is truly amazing. Can't wait to try my tracks on it.